Italian firm Enel has acquired "longtime partner" US developer Tradewind Energy and its 13GW renewable energy pipeline for an undisclosed fee. Enel will retain 7GW of Tradewind's development pipeline. The remaining 6GW of solar and storage projects was being developed by Tradewind unit Savion. Following the deal, Enel has agreed to sell Savion and the pipeline to the Green Investment Group (GIG), a subsidiary of investment firm Macquarie Capital, following regulatory approval. GIG, formerly the UK government-owned Green Investment Bank, previously developed and financed the 200MW Canada Breaks project in northern Texas. 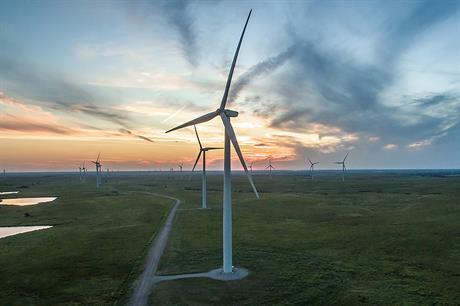 The Kansas-based developer Tradewind has worked with Enel in the US since 2006, on a number of major wind projects across the US. Roughly 3.9GW of Enel's North American operating wind portfolio was developed by Tradewind. This included the 400MW Cimarron Bend project in Kansas, and the 200MW Rattlesnake Creek site in Nebraska, which is providing power to social media giant Facebook. "Through this deal we are acquiring an experienced renewable development company to help carry out our North American growth strategy across all technologies with even greater speed and efficiency, thereby strengthening our position in the competitive US market," said Georgios Papadimitriou, head of Enel Green Power North America. "We are further able to capitalise on our investment and secure additional value for our company through the sale of certain development assets that will deliver immediate returns," Papadimitriou added.